2015 Supercars Champion Mark Winterbottom shared his knowledge with 20 young aspiring kart racers ahead of this weekend’s final round of the Australian Kart Championship in Melbourne. 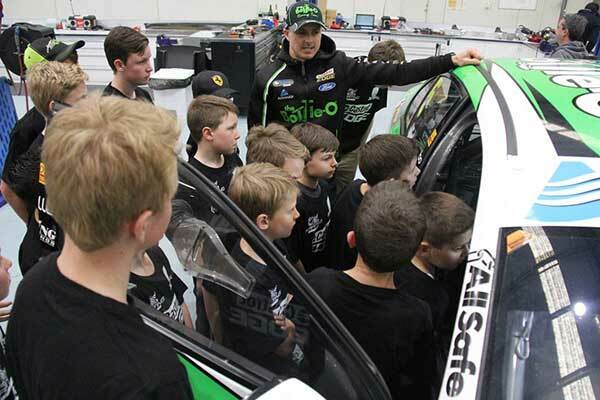 Winterbottom, a ten-time Australian karting champion during his formative years, hosted the drivers on a tour of the Prodrive Racing Australia headquarters. With karting playing such a huge part in his career, Winterbottom enjoyed the opportunity to share his journey with the youngsters. “It’s great to meet some of the young up and coming racers. For me, I spent 10 plus years in the sport of karting and it is certainly the foundation we all use,” said Winterbottom. “To make a career in motorsport you’ve got to have a point of difference that makes you stand out to the next person and it’s great to be able share some of my experiences with the kids. 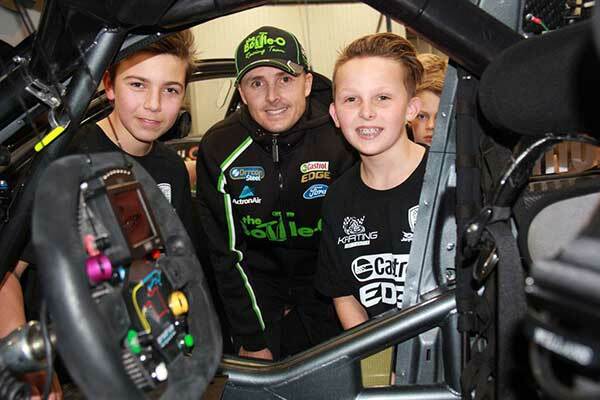 Winterbottom’s big break in his career came early last decade through the Ford KartStars Series, the brainchild of ex-Ford Australia boss the late Howard Marsden. An opportunity that the 36 year-old believes that he’ll forever be indebted for. “For myself, it was through hard work, sacrifice and luck that I got my opportunity. Everything really flowed into one that helped me make it into a career in motorsport,” said Winterbottom. Entering this weekend’s final round of the Championship Victorian pair Cooper Webster and Jay Hanson are separated by a mere seven points in the standings for the KA4 Junior class. The pair both gained inspiration from Winterbottom’s advice. “It was pretty cool to see the whole factory and have Mark explain how it all works,” said Webster. Hanson echoed the thoughts of his rival. “I really liked how Mark shared his life and experiences. Mark said that he didn’t have all the money when he started and he is proof showed that if you want it enough, and are determined you can make it,” said Hanson. A total of 237 competitors have entered across nine classes for this weekend’s event, the youngest of which is seven years of age in the Cadet 9 class. Drivers in the elite KZ2 gearbox class will reach speeds in excess of 130 km/h around the 960-metre Port Melbourne circuit.